Dessert is not my strong suit. I’m not a big fan unless its flourless chocolate cake, and when given pineapple, dark chocolate, and oatmeal as my required ingredients, I was admittedly a bit confused as to what to do. I’m not a big pineapple fan either. Then it came to me, as it usually does, over alcohol – I LOVE pina coladas. There’s an idea – now how to make that into a dessert? How about ICE CREAM!? Well, crap, I don’t have an ice cream maker. But that didn’t stop me. 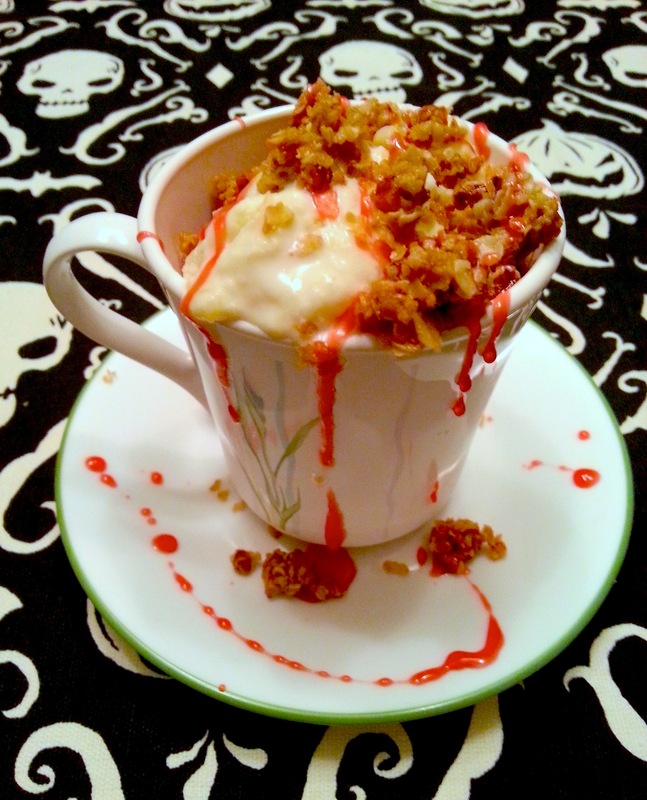 Pina Ghoulada Ice Cream with Dark Chocolate Oatmeal Crumble and Redrum Glaze!